We just completed the line-up for our annual variety show and fundraiser and it’s going to be awesome – we hope you can join us! Join the SF Bay Area Breast Cancer Action community on Tuesday, April 12th for our 4th annual “Acting Out: For the Health Of It” fundraiser directly benefiting our work. 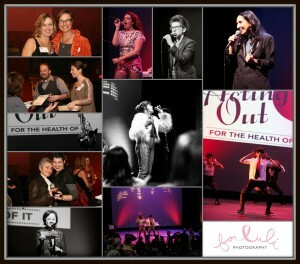 We’re really excited about our line-up of talented performers who are all committed to women’s health. The AXIS Dance Company has been featured twice on FOX TV’s So You Think You can Dance and received several sought after dance awards. They’llcaptivate you with their graceful contemporary movements. Comedianne Yayne Abeba was on NBC’s Last Comic Standing second season, and will make you belly-laugh with her fresh, innovative approach to comedy. Marina Crouse, an emerging vocalist in the Bay Area blues and jazz scene, has hand-picked a four person band that will rock out the theater. BCAction members Julie Morgan and Susie Lampert will read from not-yet-published anthologies about breast cancer and health activism. And we’re honored to have longtime BCAction member, Bay Area social justice activist, and burgeoning playwright Irma Herrera emcee the evening. Acting Out is always a great community event – we hope you’ll bring your friends and join us for a fun evening that raises vital funding to directly support our activism to address and end the breast cancer epidemic.